In the MIT Media Lab’s City Science research lab, there is an "escape pod". The walls of the “escape pod” are composed of square panels. These panels are modules that invite experimentation; one of these panels will be the host of this project. A terrarium of plants and mirrors. Mirrors reflect the succulents to extend their physical presence horizontally, in an optical illusion. Augmented reality (AR) reflects the desert scene even further past its walls, into a digitally alive landscape. The front of the container is transparent. The sides are reflective mirrors. The plant container slides into a wooden shelf. 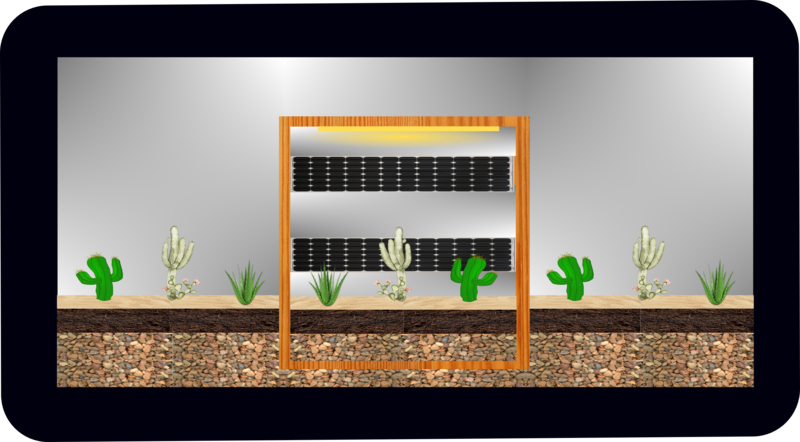 The back of the shelf is lined with rows of mirror and solar paneling. The top of the shelf houses the UV lights and wiring. I intended to use weekly assignments in order to make progress towards final project goals. (Center) a design in the center and a border around it (to be used as an AR target in the application interfaces programming week). (Left side) A phototransistor. This will be used as an “input” device. (Right side) Opposite the phototransistpr is a set of LEDs. In the output devices week, these will be used and I will measure how their use effects the light levels measured by the phototransistor. Battery to power the board. Button to toggle the LEDs. 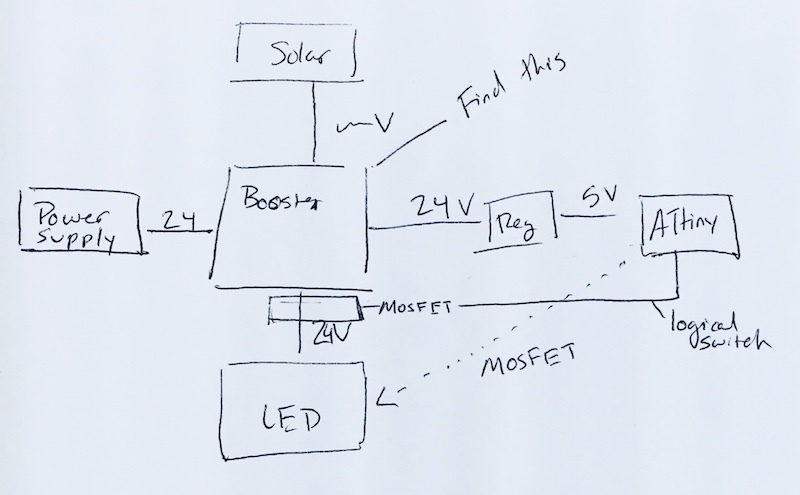 Use the phototransistor as an input to measure light frequency and levels suitable for plants and solar panels to function. 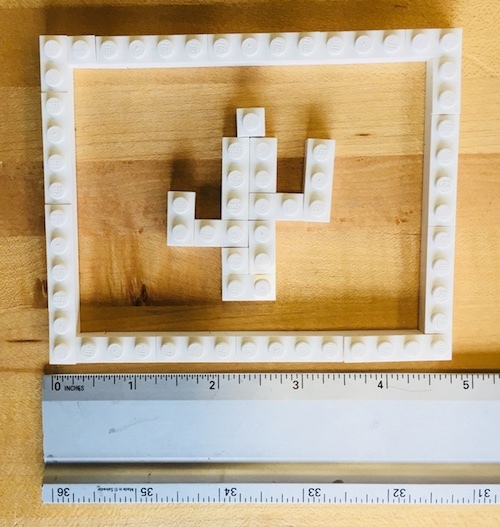 The center and border design will later be overlayed with legos to be later used as an AR target. Add LEDs and button to the week 9 board. Measure how turning on and off the LEDs effects the light levels measured by the phototransistor. Measure in different physical settings ranging from dark to light. Goal: Build an understanding of light waves and what frequency and levels of light are needed for plants and solar panels to function well. 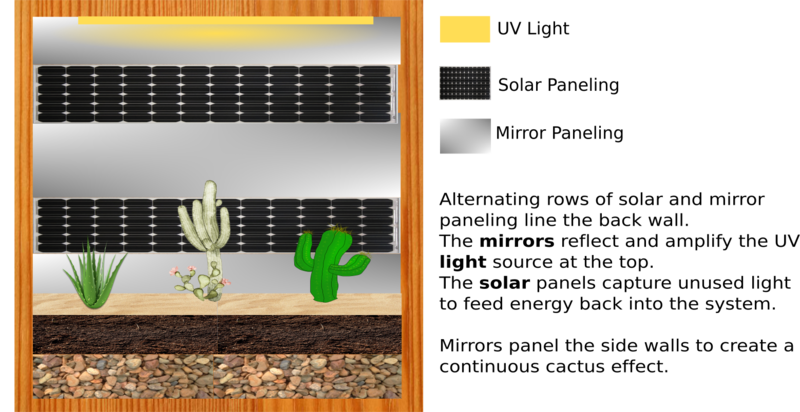 Use the board from weeks 9 & 10 as a visual interface for a mobile AR application. The design on be board is used as the AR target. The AR application mirrors the components on the board. The goal is to learn to make an AR application well enough for the final project. White light is all colors on the visible light spectrum, so white LEDs will work for plants. Light Cycle: Lights should be programmed for a 14/10 light/dark light cycle. TODO: Research and choose solar components. Succulents will be used in order to minimize care needs, and for aesthetic reasons. TODO: Determine eligible succulents and document their light/water needs. TODO: Determine AR framework to build with. DC barrel power jack (in inventory) connects DC power supply to board. Solder barrel jack to board. Make sure you use the right size for the DC power supply. On many of neil’s output boards there is a power supply. 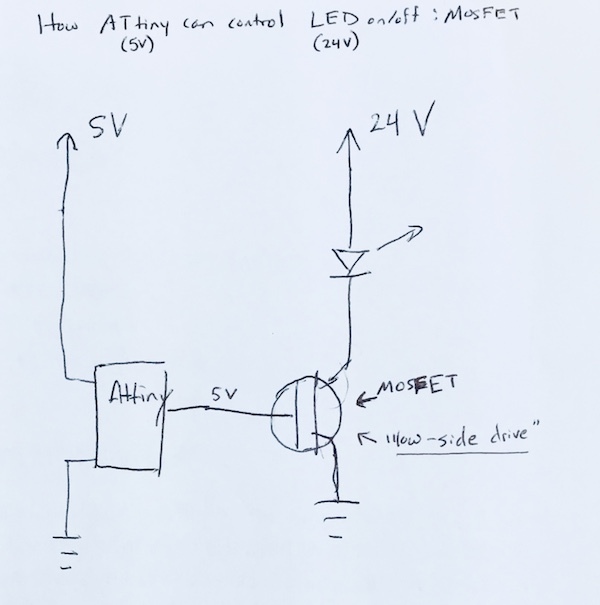 Take in more voltage than the 5V, and then there is a regulator to regulate the power. 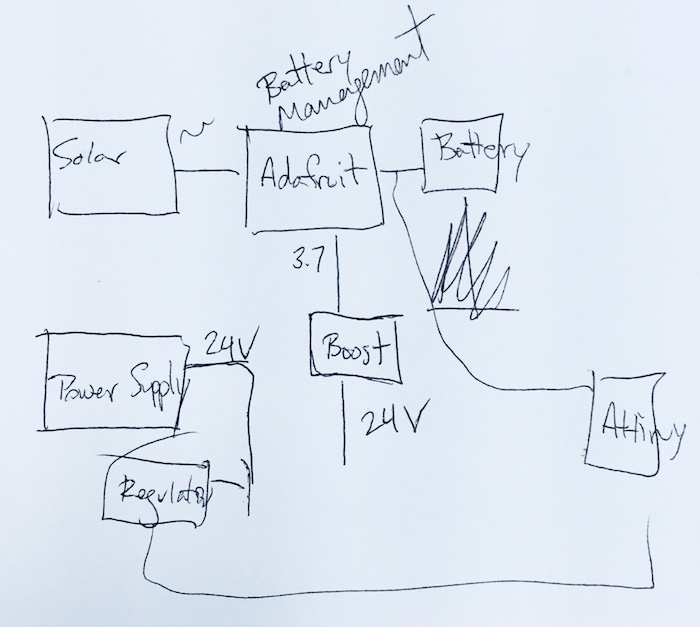 Want to use solar when possible and otherwise draw from extra power supply -- how to do this?